Luca Rubino - Photography is not my current job, but I’ve dedicated to this passion the last twenty years. I collect old cameras and some precious books. I still prefer to work with film, in all its formats (135, 120, 10×12) and basically in black and white. Every morning I leave home bringing one of my cameras and every day I take at least one photo; some days it’s a complete roll or more, some other days it’s just a single frame, lazily. Wherever I look, there’s always photo, waiting to be taken, straight ahead of me. I’m an urban designer, based in Milan. Co-founder of BeautyItaly. There are some spaces that are a part of our daily life but that don't impress our perception and our memory. Those spaces are something familiar, that we habitually hang out: a subway station, an underground square, a bathroom.. Visited but unspoiled spaces, places that you don't really look at. 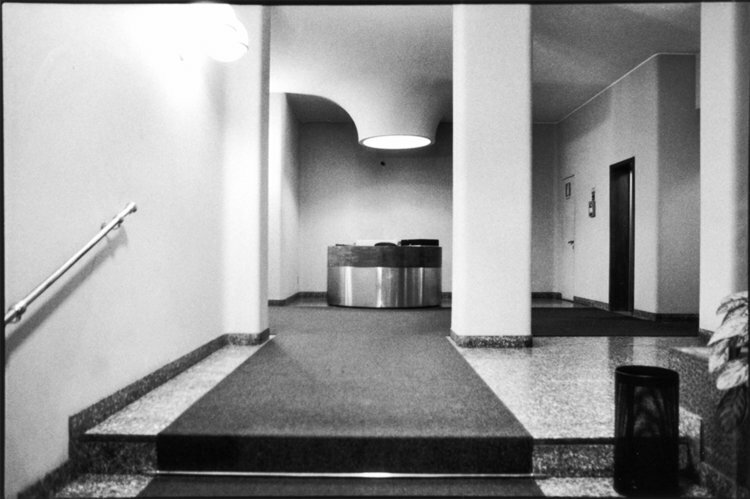 Entrance halls (Androni in italian) are places that have been designed, built with a clear purpose, with a precise use; nevertheless them are invisible and remain unseen because they are not the stage for any emotional play. The uncertain beauty of Androni lasts entirely unchanged during the years and none cares of them. 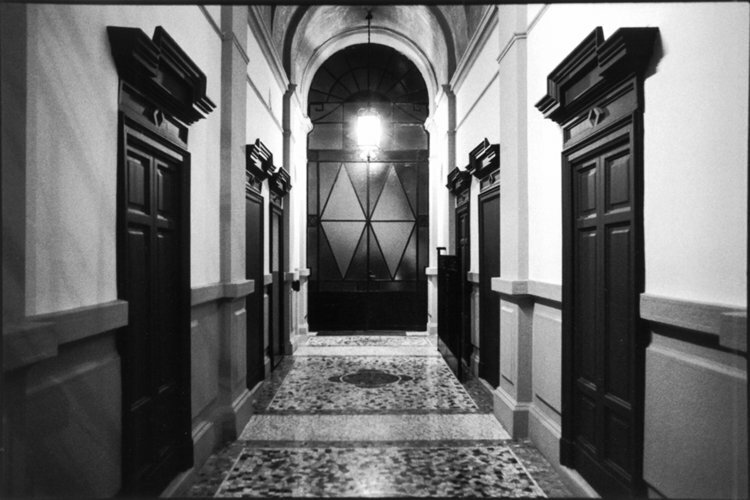 Despite this oblivion, Androni are the temple for the ritual of entering or leaving home.